Great opportunity in the heart of beautiful Apple Valley. The 3 adjacent 2.5 acre parcels are going with this one in the sale for a total of approx 10 acres. APN's 3112-581-06, -07, &-08. This could be a great piece to develop down the road or to create your own estate. Come take a look and submit your best! All information deemed reliable but not verified. Directions: From Highway 18 East To Navajo Rd. North On Navajo Rd. To Cholena. East On Cholena Until It Dead Ends. 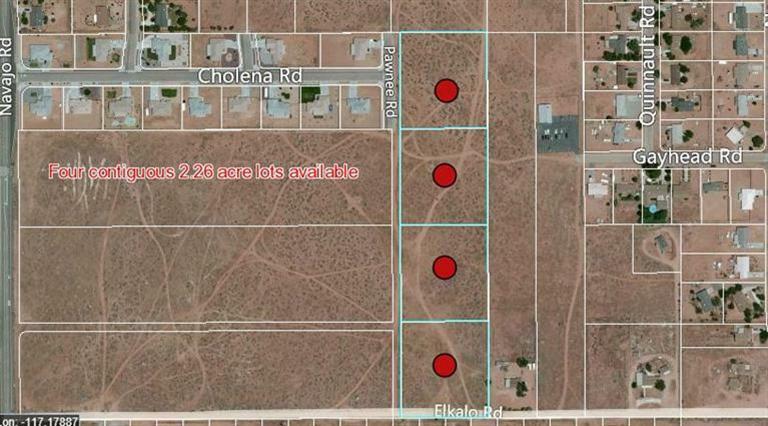 Cholena Dead Ends Midway Into This Parcel.